Get Vauxhall Car Finance today and you could have absolutely nothing to pay for up to six weeks! Vauxhall manufactures some of the most well-known and desirable models of cars. Whether you are after the Adam, Astra, Corsa, Insignia, Mokka or Zafira, we can get you used Vauxhall finance. Even if you have a less than perfect credit score we can help you. At Refused Car Finance we specialise in bad credit car finance and are proud that we are able to get so many of our customers the best possible finance package despite their current credit scores. 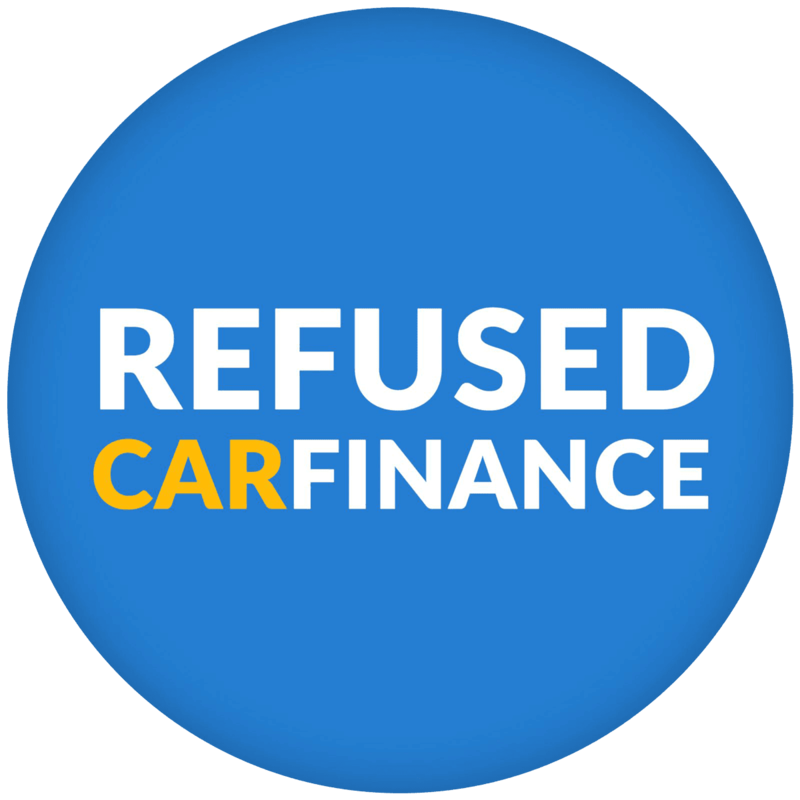 This year 98.4% of those who applied for used Vauxhall finance through Refused Car Finance received a car finance offer from one or more of our lenders! Our approval rate is one if the highest of any car finance company in the UK. As a result, we strongly believe that if we can’t get you finance for your Vauxhall, then no one can. Join thousands of others and get used Vauxhall finance today. As default your used Vauxhall finance will leave your account on the same date every month. Monthly Vauxhall finance is really convenient for many people, especially if you get paid on a monthly basis. However, it certainly doesn’t suit everyone therefore we also offer weekly Vauxhall finance for our customers. Weekly payments on your Vauxhall finance plan simply means that your payments will come out on the same day every week. With the majority of our lenders you can choose which day or date suits you best for added convenience. Take advantage of the choice of repayment term length to get the most suitable used Vauxhall finance plan for you. Repayment plans for car finance range from 12 – 60 months. If paying off your car loan as quickly as possible is your priority then you may opt for the 12-month option. However, if you would like to spread your payments out over a longer term to reduce the amount you pay each week then a longer term would be better for you. The best thing about fixed interest rates on used Vauxhall finance is that you know with 100% certainty how much you will be paying every month. It’s much easier to budget when you know X amount will be leaving your account. It’s also a relief for many when interest rates increase, as this won’t be passed on to you in your agreement. Saving up a cash deposit to use as a down payment on a car is not a realistic option for everyone. If you find yourself struggling to save up for a deposit and don’t seem to be making any head way then you should definitely consider our Vauxhall no deposit car finance. It does exactly what it says on the tin and you get to drive your car away without having to put a large sum of money down first. Not using a deposit will increase your weekly/monthly instalments. This can be a positive for many who find paying a bit more each month a more affordable option than a big down payment. If you are reading the above options and are feeling a bit confused, not to worry! Our customer contact team are experts in car finance and can answer any questions you may have. Once you’ve applied and have received offers from our lenders we can assist you with any questions you have. Vauxhall is one of the most familiar car manufactures in the UK, in fact a quarter of UK drivers have or do own a Vauxhall. According to the Department for Transport, there are more Vauxhall’s on North East roads than any other car manufacturers. The North East of England is also the most successful area of the country for the Vauxhall selling more cars here than anywhere else. 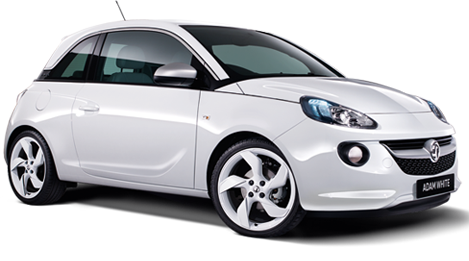 The attractive Vauxhall Adam is designed to appeal to the young market with its funky good looks and huge customisation options. The smallest of the Vauxhall’s, it introduced the company to a whole new market. It’s eye-catching looks and huge personalisation scope means that you are very unlikely to see two Adam’s the same which means when you come to buy one second hand then there is a much wider range that you would usually get. It’s not just about looks though, with a broad range of three- and four-cylinder petrol engines providing you with a choose of cheap to run and fun to drive options. Get used Vauxhall Adam finance today and join the 98.4% of our customers who receive at least one car finance offer. The most popular car with our customers is the Vauxhall Insignia. It’s not surprising to see why with its sleek design and low running costs. The Insignia is exceedingly good value and is a delight to drive. It practically thrives on motorways due to its excellent ride quality. The Insignia also have a lot of room, spacious inside with a decent side boot making it a great choice for small families. Apply for used Vauxhall Insignia finance today and you could be driving your car away in the week! Available as a two or four wheel drive, automatic and manual and with a petrol or diesel engine, giving you a lot of choice! The popular Mokka is a compact SUV with plenty of space, especially in the front. It’s well equipped with a 7.0in touchscreen infotainment system which includes Android Auto and Apple CarPlay. Parking sensors for the front and back, OnStar emergency call and concierge system as well as dual climate control can all be found on the standard model. 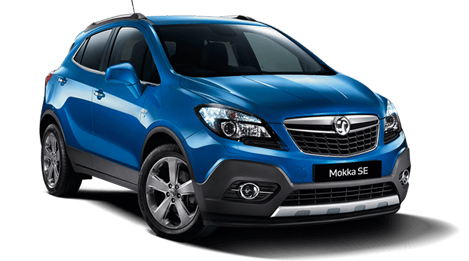 Getting used Vauxhall Mokka finance has never been easier. Just fill out our 30 second application form and a member of our team will be in contact shortly. The process is really quick and you could find yourself driving your Mokka away within the week. The British built Astra won both the ‘Best Compact Family Car 2016’ New Car Awards and ‘European Car of the Year 2016’ at the 86th Geneva Motor Show. The award-winning model has built a reputation for becoming one of the best family hatchbacks available. The well-priced model is a pleasure to drive benefiting from its agility on the road with sharp handling. A choice of six turbo charged engines (3 petrol, 3 diesel) means it’s fun to drive whilst being good on fuel. 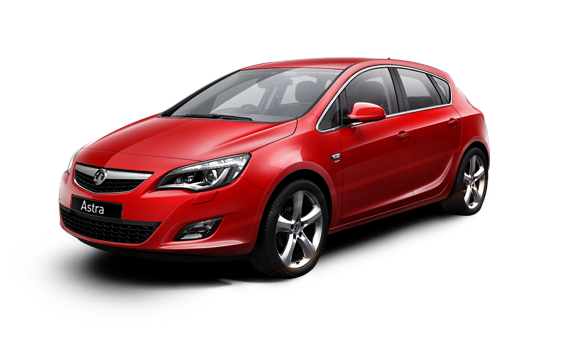 Get used Vauxhall Astra finance with Refused Car Finance and benefit from fixed interest rates and a no deposit option. You can search the current crop of Astra’s from some of our recommended car dealers on our cars page here. 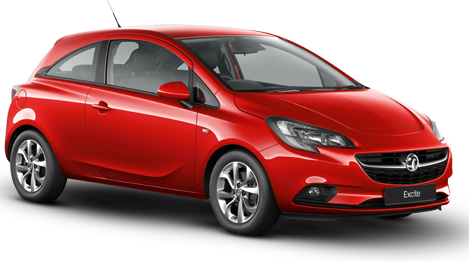 The Vauxhall Corsa offers stylish looks, affordability and practicality to result in one of the best all round cars on sale today. Rarely falling from the top seller lists, the Corsa came in 5th in the UK’s best selling cars of 2017 so far. Competitively price, it offers good value for money and with low running costs and emissions it’s kind to your bank balance after purchasing too. The spacious interior and big boot also make it ideal for families offering a comfortable ride for driver and passengers alike. Used Corsa finance is available to anyone applying through Refused Car Finance. Browse the current Corsa’s in stock here. Not looking for Used Vauxhall finance? We can offer you car finance on a range of makes and models, not just the Vauxhall. If you are interested in finding out more about the other cars we can provide finance for please visit our car finance page. Alternatively, you can search by car make using the search bar below.